Sorry it's not the best picture in the world, but they definitely look like the desert. They are lovely shades of teal, orange, rust, and burgundy, all muted. They are also very warm and comfy. 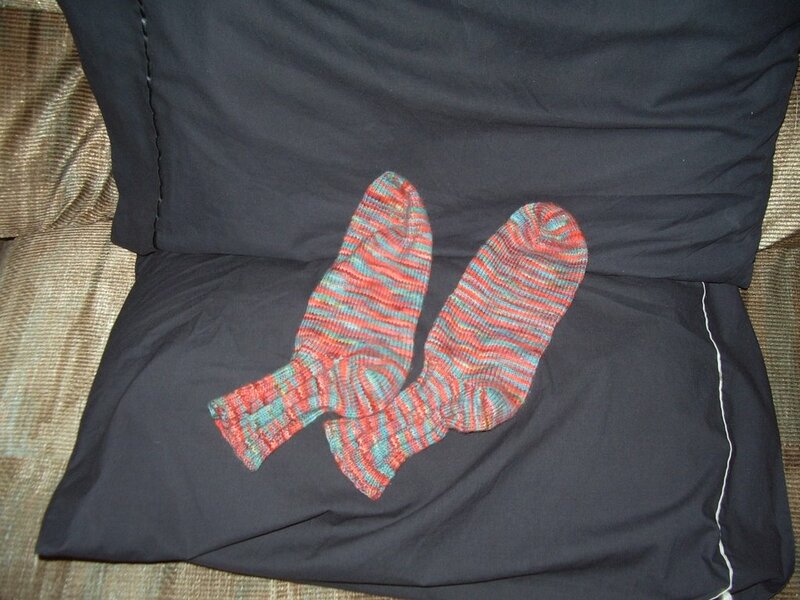 Trust me, after a hard day, even when all you've done is sit on your bum, it's nice to have socks like these around your toes! The red one was for a lady at work, and it's reminescent of her sorority. Their colors are red and white, and their mascot was an elephant. I also got paid $20 for this one (gotta love it when you get paid for fun!). 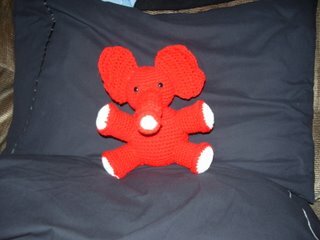 This pink elephant goes to my friend Kristen, who received the original grey elephant a few months back. 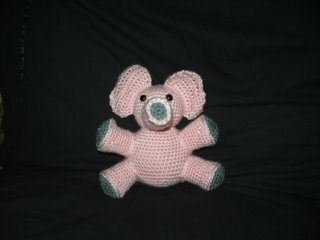 She loved the standard elephant for her son, and decided it would be a great joke for her daughter to have a pink one. First of all, because her daughter's favorite color is pink (as much of a favorite as a two-year old can have) and secondly, because of the whole pink elephant/Dumbo/drunk thing. Go figure. It seems like it's been forever.